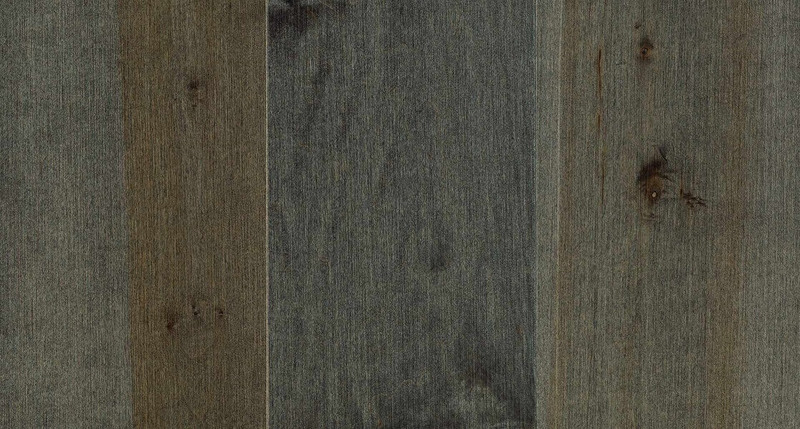 A wide 7” plank with muted charcoal tones and a refined grain pattern make a very distinguished and stylish statement. TheMete natural beauty with uncommon durability. 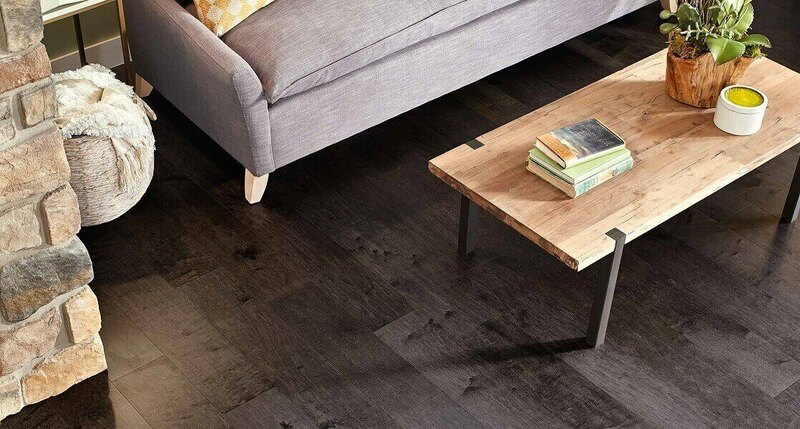 Exclusive UltimateShield™ technology —a crystal clear top layer—makes Midnight Maple Hardwood up to 5 times more durable than ordinary wood floors. 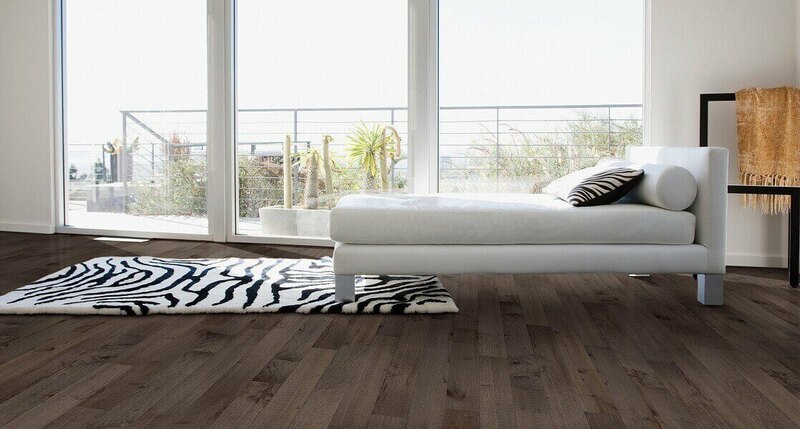 Floors stay newer longer, resists stains, scuffs and micro-scratches, even nail polish, permanent marker, glue, and paint will not penetrate the surface.